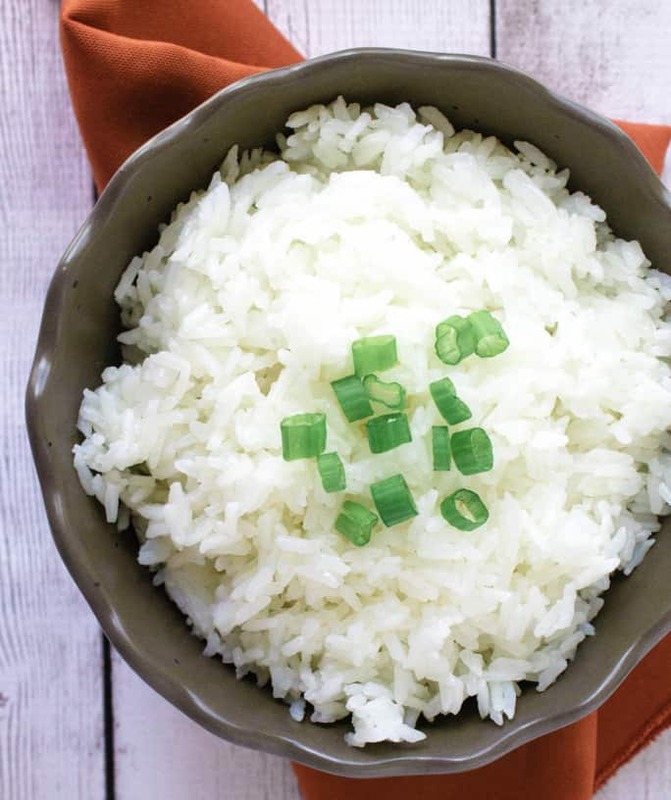 Instant Pot jasmine rice is a quick and easy, foolproof way to make perfect fragrant rice without a rice cooker! Whether you cook it directly in the insert pot or by using the pot in pot method, it’s a cinch! Get my tips and suggestions for easily making perfect jasmine rice in the Instant Pot! Note: This post may contain affiliate links for your convenience. If you make a purchase, this site may receive a small commission at no additional cost to you. You can read my full disclosure policy here. I used to have such trouble making perfect rice. 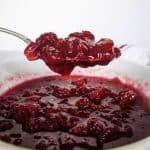 It was always too sticky or too watery when I made it on the stove top. I didn’t want to invest in a rice cooker because I try to avoid one-trick-ponies in my kitchen, especially when I don’t make rice super regularly. But that all changed when I started making rice in the Instant Pot! I quickly learned that it’s actually super simple to make perfect rice in the pressure cooker, and I don’t have to babysit it while it cooks. 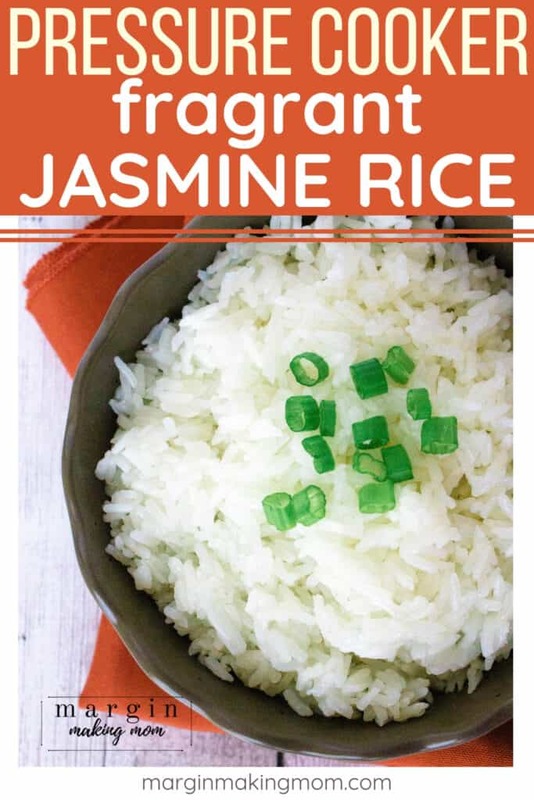 If you aren’t familiar with it, jasmine rice is a long-grain white rice commonly used in Thai cuisine. 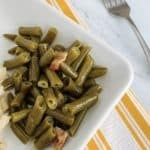 It’s known for being fragrant, which at first sounds kind of strange until you cook it and experience it for yourself. It makes a tasty addition for several dishes, not just Thai cuisine, thanks to its tasty and fragrant profile. 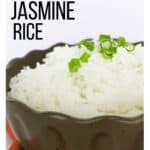 Does Jasmine Rice Need to Be Soaked? 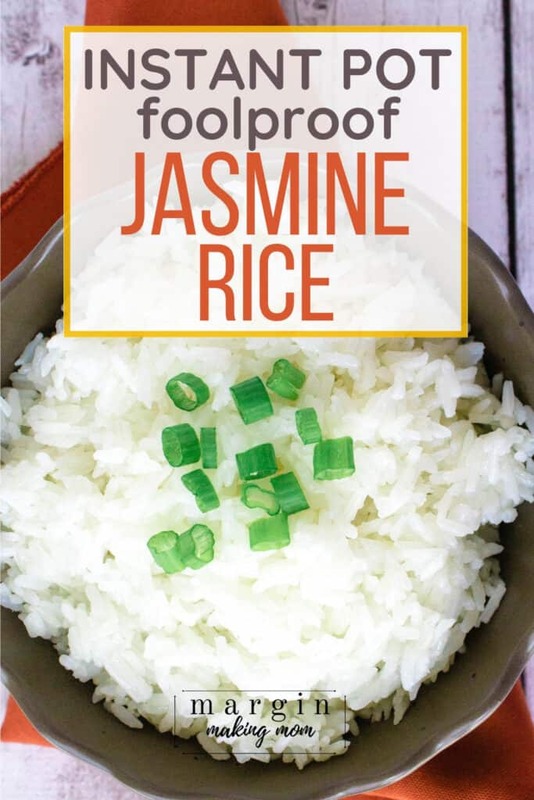 Jasmine rice does not need to be soaked prior to cooking. Traditionally, basmati rice is soaked before it’s cooked (though it does not require soaking when making Instant Pot basmati rice! ), but jasmine rice simply requires a rinsing. I just put the rice into a fine mesh sieve and run cold water over it, swirling the rice around to rinse off excess starch. 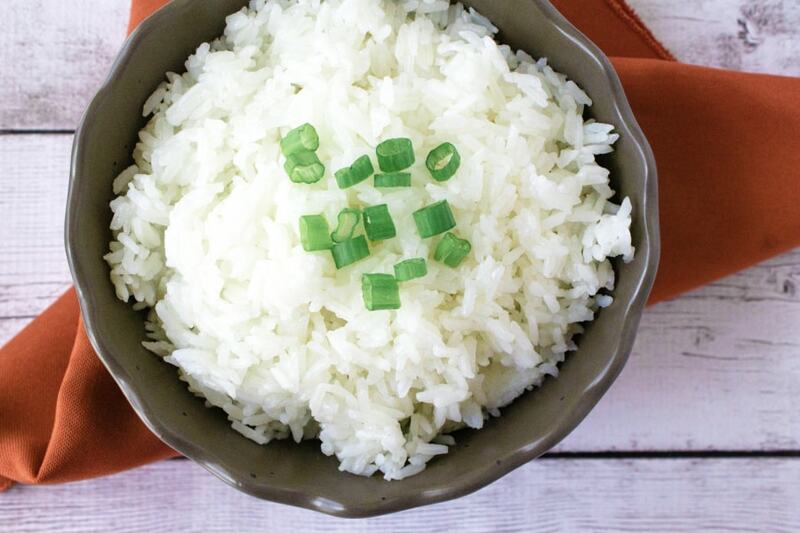 Follow these easy steps to make perfect jasmine rice in your Instant Pot! My preferred ratio of rice to water is 1:1.25, which means that for every one cup of rice, you’ll add 1.25 cups of water. Some people prefer a 1:1 ratio, which allows the rice to be a little less sticky. So you can judge based on your personal preferences, but the 1:1.25 ratio works perfectly for me! This ratio is the same whether you use one, two, or three cups of dried rice–just measure carefully and make sure you aren’t exceeding your pressure cooker model’s recommended capacity. In general, white rice will triple in volume when cooked, so one cup dry rice should yield approximately 3 cups of cooked rice. Combine the rice and water in the insert pot of your Instant Pot (I also like to add 1/4 tsp of sea salt to enhance the flavor, but that’s optional) and lock the lid in place. Select a cook time of 4 minutes at high pressure. I use the Manual/Pressure Cook setting. Once the cook time is complete, allow a 10 minute natural release followed by a quick release of any remaining pressure (depending on how much rice is in the pot, the pressure may fully release in less than 10 minutes). After the pressure has released and the valve has dropped, carefully remove the lid. Fluff the rice with a fork and serve! While you can make rice directly in the insert pot of the Instant Pot, you may prefer to make the rice using the pot in pot method. In this method, you combine the rice and water in a small dish that fits into your insert pot. This can make cleanup a little easier, and it can also allow you to cook more than one thing in the Instant Pot at the same time (as outlined in this Instant Pot Kung Pao Chickpeas recipe). 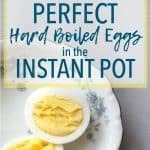 I have an entire list of recommended pot in pot accessories, but to make rice with this method, you’ll simply need a heat-proof container that is small enough to fit into your Instant Pot and also large enough to contain the amount of rice you’re cooking. 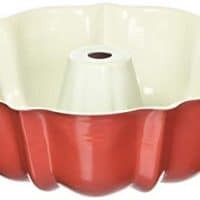 I like using this bundt pan for cooking rice in the Instant Pot, but you could also use a round cake pan or a Pyrex dish. You’ll place the trivet into your insert pot and add a cup of water to the insert pot. Then lower the dish of rice and water into the insert pot (following the same rice to water ratio) and use the same cook time and pressure release outlined above. After the pressure has released, simply lift out the dish and fluff the rice. Easy peasy! 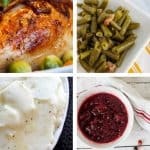 Should I Use the Instant Pot’s Rice Setting for Jasmine Rice? I don’t personally use the rice button. 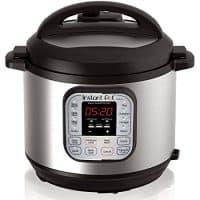 The Rice setting on the Instant Pot is a fully automatic function that adjusts the cook time based on the amount of rice and water in the insert pot. It cooks at low pressure, as opposed to the high pressure I use in my recipe. It is also designed only for white rice, so it wouldn’t be applicable for making brown rice in the Instant Pot. Since the Rice button is automatic, I don’t think it would work for the pot in pot method, since the rice and water will be in a separate dish, but I have not tried it this way. I have only used the pot in pot method with the Manual/Pressure Cook button. I personally like the control of using a programmed cook time at high pressure, so I don’t usually use the Rice button. But you’re welcome to give it a try if you’d like. 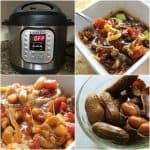 Instant Pot – I have the DUO60 model, which I love. 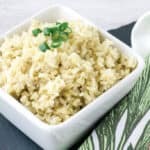 This Instant Pot jasmine rice recipe is a quick and easy, foolproof way to make perfect fragrant rice without a rice cooker! Whether you cook it directly in the insert pot or by using the pot in pot method, it's a cinch! In the insert pot of the Instant Pot, add rice, water, and salt. Close the lid and set the vent to the sealed position. Using the Manual/Pressure Cook button, select a 4 minute cook time at high pressure. Once the cook time is complete, allow a natural pressure release for 10 minutes (this may be shorter, depending on whether you double the recipe or not. My pressure released in 9 minutes). If pot is still pressurized after 10 minutes, perform a quick release of remaining pressure. In a heat safe container that fits into your insert pot (I use a bundt pan, but a round cake pan or Pyrex dish would also work), add rice, water, and salt. Place the trivet into the insert pot of the Instant Pot. Pour one cup of water into the insert pot. Lower the dish onto the trivet. Close the lid and set the vent to the sealed position. I prefer a rice to water ratio of 1:1.25, which means 1 cup of rice and 1.25 cups of water. 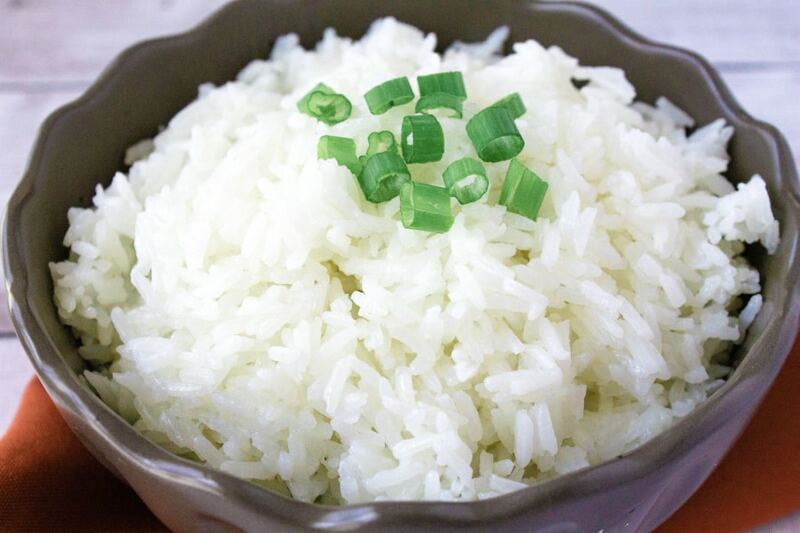 However, if you prefer your rice to be a little less moist, you can use a ratio of 1:1, which means you'll use one cup of water and one cup of rice. It's just a matter of personal preference! The rice to water ratio will stay the same if you want to double or triple the recipe. Just make sure to measure well and to not exceed your pressure cooker's capacity. I like to make extra rice and freeze it for later! Generally speaking, jasmine rice triples in volume when cooked. So one cup dry rice will yield about 3 cups of cooked rice.